TRENTON, N.J. -- New Jersey could soon become the first state to outlaw the sale of menthol cigarettes. Legislation banning the cigarettes has been approved by the state Assembly's Health and Senior Services Committee and now heads to the Appropriations Committee for further consideration. Similar legislation has not yet been introduced in the state Senate. The measure would amend existing state law by adding menthol-flavored cigarettes to the state's list of prohibited flavored cigarettes. It also would update that list to include clove cigarettes. Democratic Assemblyman Herb Conaway, who is also a physician, is the bill's sponsor. He argues that menthol cigarettes should have been outlawed in 2009, when the U.S. Food and Drug Administration forced tobacco companies to do away with other flavored brands, partly because of their allure to youths. Last summer, San Francisco became the first city to approve a ban on menthol cigarettes. The European Union has also implemented a ban that is due to take full effect in May 2020. Conaway describes menthol cigarettes as "enemy No. 1" when it comes to lung diseases. The cooling effect of menthol allows smokers to draw more toxic substances into their lungs and hold them there, he said. "Science supports the fact that it promotes cancer," Conaway said. "That's why the other flavors and cooling agents have been removed." The lawmaker and others have also argued that marketing for menthol cigarettes targets blacks and low-income communities. They note studies have shown advertisements for menthol cigarettes are more likely to appear in publications with high black readership. While acknowledging potential revenue losses for businesses and the state, Conway has said that would more than matched by the "gain in lives." A group that represents hundreds of food retailers in New Jersey has rallied against the bill, citing the economic impact it would have on convenience stores, small businesses and the state. The New Jersey Food Council says its members report that menthol cigarettes account for 35 percent to 40 percent of their total sales. 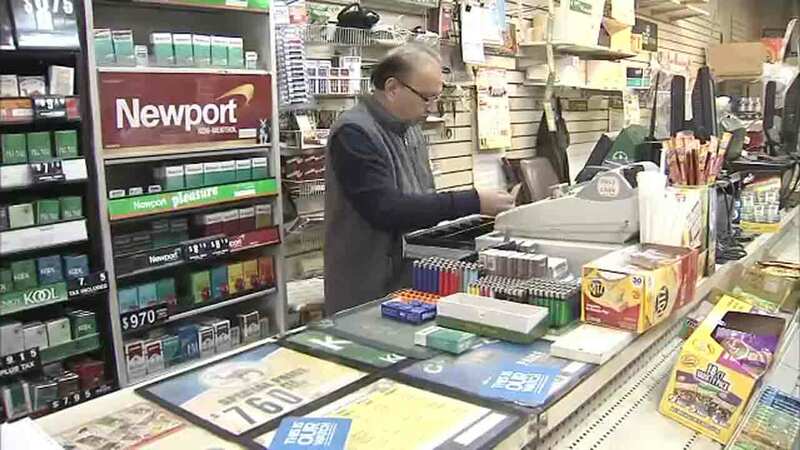 They also say convenience stores and other establishments will lose out on ancillary sales - such as sandwiches, snacks and cups of coffee - if customers stop frequenting those businesses because they can't get menthol cigarettes. The group also warns the state would take a hit in tax revenue. The legislation does not contain an estimate of how much the state would lose in sales, but Conaway says any revenue loss is more than matched by the "gain in lives." State officials have estimated that roughly $750 million in tax revenue is generated annually from tobacco sales. Lawmakers opposed to the bill expressed similar concerns. They also note that smokers seeking menthol cigarettes could simply buy them in neighboring states. Medical and public health groups have not taken a public stance so far on the bill but say they are reviewing it and considering its potential impact. "We support efforts to reduce tobacco use and the availability of deadly tobacco products, as tobacco use remains the leading cause of preventable death," said Marc Kaplan, a spokesman for the American Cancer Society.